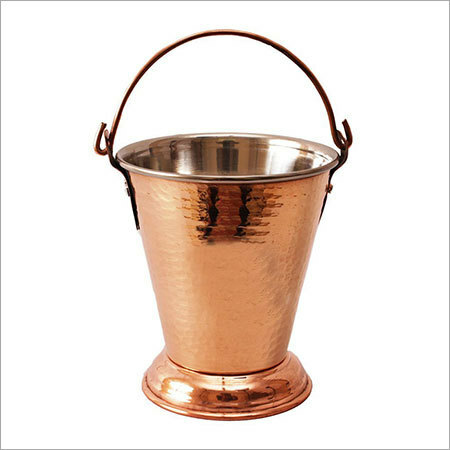 This table serving copper bucket is a standard size bucket with an outer hammered design. This bucket can be used to serve dal or gravy in temples, where food is served to the devotees as well as in commercial kitchens. This bucket is made of copper, which is a good conductor of heat keeps the gravy or dal hot for long. The swing handle makes the lifting and carrying of either empty or filled bucket easy.